Palo Alto-headquartered injury prediction and prevention startup Zone7 (incorporated as InPlay Ltd.) has raised a $2.5 million investment round, the company announced Tuesday. 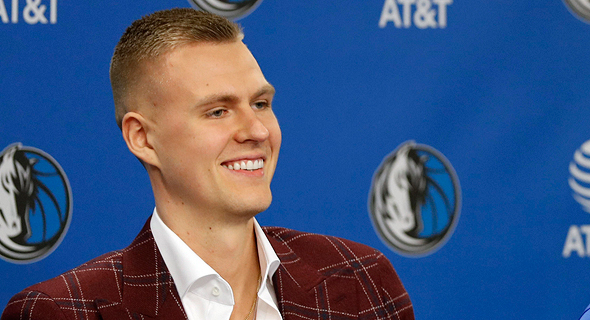 Dallas Mavericks' Kristaps Porzingis and Dutch former soccer player Jordi Cruijff have participated in the round, which was led by Resolute Ventures, seed stage fund UpWest Labs, Amicus Capital, and PLG Ventures also participated. Founded in 2017 and employing eight people in Palo Alto and Tel Aviv, Zone7 uses a variety of sources including wearables and video to develop a customized pattern recognition pattern for each user to track medical condition and performance. The company's software is already used by football clubs in England, Israel, and La Liga, and Zone7 states it has collected over 5 million activity hours of professional athletes to date. The software developed by Zone7 gives forecasts expected timing for injuries, based on the analysis of the data collected. According to Brown, around 70% of injuries in European soccer result from physical exertion and not physical contact. The company was looking for an investor that was well-known in the sports industry, particularly in American sports, CEO and co-founder Tal Brown told Calcalist in a Monday interview. On January 31, Porzingis’ previous team the New York Knicks traded him to Dallas after the center’s injuries put him on the bench for 12 months straight, and in rehab the entire offseason. Online Ticket Seller Sports Events 365 Signs Deal with Manchester City F.C. The NBA player was contacted by the startup’s other investors and was “very interested in the software’s potential,” Brown said. “Smart prediction can save players a lot of missed days,” Brown added. Zone7 is currently preparing a pilot with the U.S. baseball league.